Dr Martens Kids shoes are available to buy now! 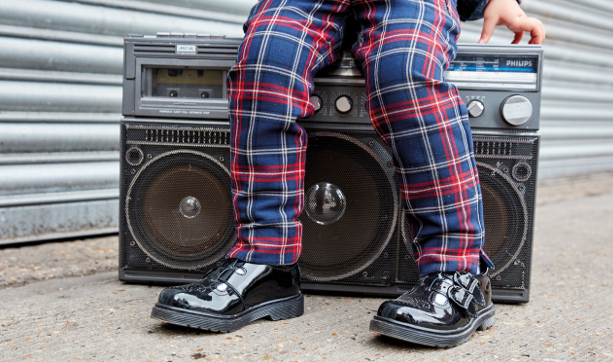 We know from experience in our retail store, that many of our customers buy adult sized Dr Martens shoes for school - if their children's feet are large enough! However, now their younger brothers and sisters can get in on the act, with Doctor Martens new dedicated children's collection. We are continually adding new ranges of Dr Martens Kids Shoes here at Shoes International and we have a number of great new additions every season. And if we haven't whet your appetite yet, will you be able to resist buying some of these gorgeous baby shoes, for any newborns amongst your family or friends ?